Check out Commonwealth's 3-day Warehouse Sale happening on February 8 to February 10, 2019. Get up to 70% off across the board with a wide selection of apparels, footwear and lifestyle goods. This event only happens once a year, so don't miss out! 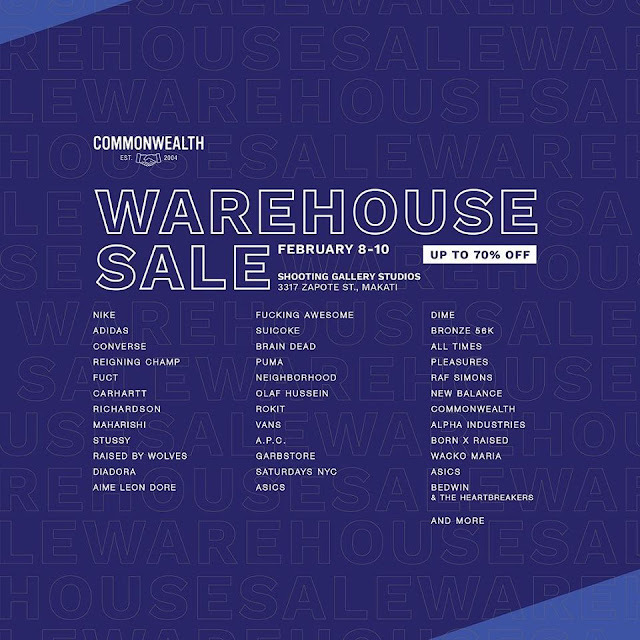 Commonwealth Warehouse Sale participating brands - Nike, Adidas, Converse, Stussy, Asics, Vans, PUMA, Raf Simons, Richardson, Maharishi, Saturdays NYC, and many more!